Ambrell, an inTEST Company and leading manufacturer of induction heating solutions worldwide, will attend twelve trade fairs throughout Europe in 2018, including the United Kingdom. Ambrell is coming off a highly-successful year in 2017 and looks to build upon that momentum with an aggressive European trade fair schedule. 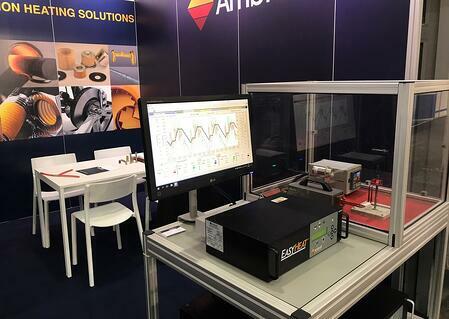 At the trade fairs, attendees are encouraged to bring their parts and drawings as expert application engineers from THE LAB at Ambrell will be on-hand to discuss heating applications. Ambrell offers complimentary application testing so clients are ensured they are purchasing the right induction heating solution for their specific application. If a personal meeting with Ambrell engineers at trade fairs is preferred, it may be scheduled in advance by contacting Karin Janssen at kjannsen@ambrell.com.